One of my favourite lunch meals is miso soup but fresh tofu is too heavy and messy to carry. I've heard of dehydrated tofu but haven't seen it. Anyone have any ideas? Thanks in advance. There's a variety of dried tofu and tofu-related food (bean curd based) in Chinese stores for vegetarian cuisine but they are very different in taste to fresh tofu. 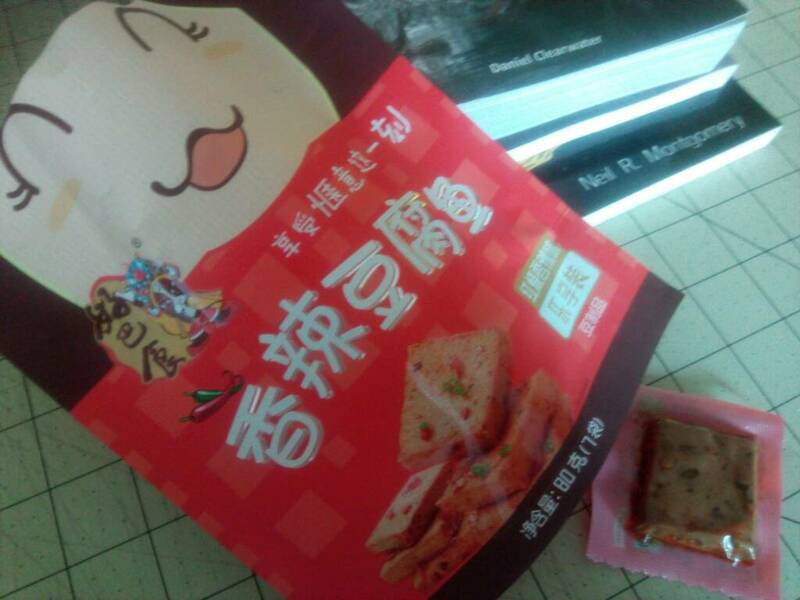 GPSGuided wrote: There's a variety of dried tofu and tofu-related food (bean curd based) in Chinese stores for vegetarian cuisine but they are very different in taste to fresh tofu. Would you define "very different" as better, worse, or indeterminate? That depends on your taste. As said, they are very different in texture and can be seasoned in any way one wants, from sweet to sour to spicy to 'stinking tofu'. So the best suggestion I have for you is to ask a knowledgeable Far Eastern friend to show you some of them in real life. But as said, they are quite different to the 'pure' taste of fresh tofu. As Gps said, Asian supermarkets have dried tofu...plus all sorts of other goodies. The issue with these dehydrated and related tofu products is how to eat them out in the bush. Apart from rehydration (takes time and usually with hot/boiling water), they need to be prepared as part of a dish. Maybe someone will be creative... With Tabasco sauce dip? I usually take these bushwalking.. 3serves in foil packets, light & compact, taste-wise good. Available in woolies, Asian section. Last edited by ofuros on Mon 20 Mar, 2017 4:53 pm, edited 1 time in total. I like dried sea weed and flossed pork (dehydrated) for trips. Goes well with any main course and adds essential nutrients. Last month I was sent a seasonal Vegan Outdoor Adventure box and it had a fat bag of soy "beef" jerky. There is a review through this link. I'm also subscribed to an Australian based Vegan Box with regular samples of seasoned legume snacks which I use to supplement a variety of other tasty vegan high protein snacks and meals. You can always pick up some textured vegetable protein - aka TVP...from e.g. The Cruelty Free shop (in Brissy, Syd, Can and Melb and online.) That stuff comes dried. Found some individually packaged spicy tofu in my local Asian supermart...bit of heat & a rubbery texture, but a ok addition to a meal.